office of Littler Mendelson, P.C. In 2009, she served as president of the San Diego County Bar Association (SDCBA), which is the region’s oldest and largest law-related organization with over 10,000 members. Jerri was the first Asian-American/Pacific Islander attorney to lead the bar in its 112-year history. Over the course of her career, Jerri has consistently exhibited outstanding leadership, professional achievement, and unwavering commitment to the community. She has spent countless hours mentoring students, especially women and minorities, to help them to succeed. Jerri has been recognized by multiple organizations for her work in the community including being named a “Trailblazer” by the National Asian Pacific American Bar Association. Jerri’s leadership and selfless dedication has paved the way to advance Asian Pacific Americans and other diverse individuals in the legal community, as well as the community at large. 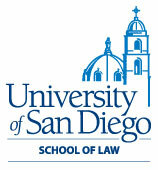 She has received multiple accolades for her volunteer service including: San Diego County Bar Association Service to Diversity Award (2011); American Bar Association - Public Service Honor Roll Award, Tort Trial & Insurance Practice Section and Law in Public Service Committee (2009-2010); Community Leadership Award for Diversity, South Asian Bar Association of San Diego (2010); Named one of UC San Diego’s Prominent and Influential Alumni, UCSD Alumni Association (2009); Legal Affairs Award, Asian Heritage Society (2009); San Diego Business Journal’s “Women Who Mean Business” Award (2008); Metro Movers to Watch in 2008, San Diego Metropolitan Magazine; bizSanDiego Magazine - 20 Most Influential Businesswomen in San Diego (2008); President’s Award, Earl B. Gilliam Bar Association (2008); Trailblazer Award, National Asian Pacific American Bar Association (2007); Elected to The Fellows of the American Bar Foundation (2007); and State Bar of California Wiley W. Manuel Award for Pro Bono Legal Services (2005). 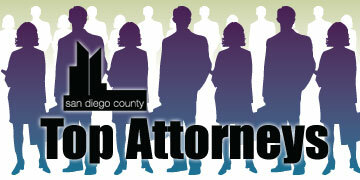 Recently, Jerri was named as one of the “Top 25 Women Attorneys” in San Diego by Super Lawyers magazine in 2011; and was recognized as a “Super Lawyer” for Employment & Labor Law. In addition to serving as President of the SDCBA, Jerri has held other leadership positions. She is a past president of Pan Asian Lawyers of San Diego and past board member of several organizations including the San Diego Opera, Union of Pan Asian Communities, Filipino American Lawyers of San Diego and San Diego Asian Film Foundation. Currently, Jerri serves on the Council on Access & Fairness for the State Bar of California, which focuses on increasing diversity in the legal profession. She also serves on the boards of the National Family Justice Center Alliance, and the University of California San Diego Alumni Association. She is an active member of the San Diego Downtown Breakfast Rotary Club and an advisory director for the Asian Business Association. Jerri grew up in Southeast San Diego and graduated from Castle Park High School in Chula Vista.